If you are in Salt Lake and haven&apos;t yet tried the delicacy of Creminelli&apos;s artisan salami, I implore you to leave whatever you&apos;re doing and go try it for yourself! This is traditional Italian Salami, made in Utah, by a joyful Italian himself, and exported all over the country yet also sold in many of our grocery stores locally. Creminelli is not something to be overlooked! 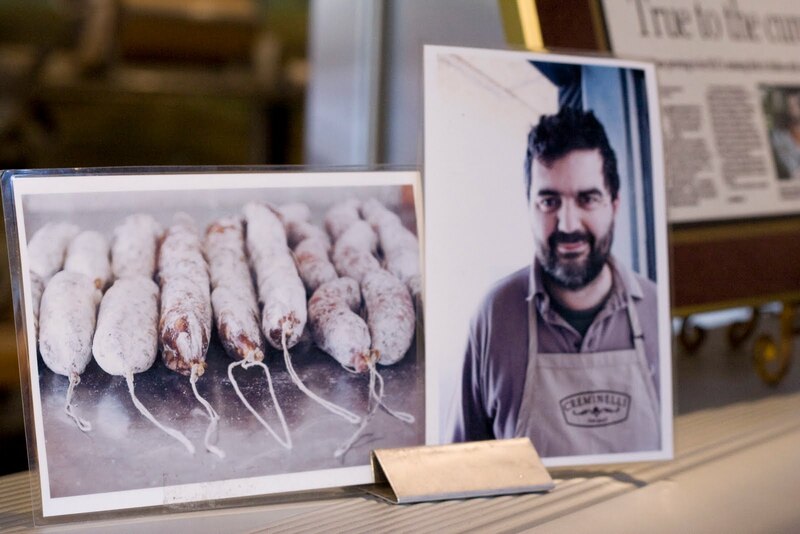 With his new creations of fine meats, salami is not the only item that Cristiano Creminelli is winning awards for. His Sopressa, a coarsely ground pork fermented with wine and garlic, recently picked up a Sofi award. My personal favorites include his new Capicola, cooked pork shoulder seasoned with clove and rosemary, along with my long standing favorite, the Piccante, a spicy salami spiced with red peppers and several varieties of paprika. Find Creminelli Artisan Meats at these local Salt lake stores: Tony Caputos Market & Deli, Whole Foods Market, Liberty Heights Fresh and Harmons Grocery. Read more from Becky Rosenthal at The Vintage Mixer.